We’ve all heard of probiotics, but what do they really do? There’s reasonable disagreement as to the benefits, but here’s a fascinating piece of research. Eating fermented foods to balance your gut microbes can lead to a reduction in social anxiety, according to a recent study at William and Mary College. But if you’re not a fan of kimchi, sauerkraut, tempeh, yogurt and the like, consider taking probiotics. We were recently asked to review a brand that has recently become an Amazon’s Choice because of its natural qualities and its affordable price (~$25 for a two month supply). After healing from a parasite acquired while traveling, Hyperbiotics co-founder Jamie Morea realized just how important the body’s microbiome is to overall health and well-being. Even the United States government is backing up the idea that gut flora have a profound influence on how you feel. American diets high in processed foods, antibiotics taken over the course of a lifetime, chlorine in the water, and many other things – even things that happened from birth – can result in deficiencies in the stuff in our gut known as probiotics. Morea did a vast amount of research and ended up creating a product known as Hyperbiotics. It comes in a range of formulas designed for many different ages and needs. On their website you can take a quiz to see what formulation might be best for you, get a free pamphlet about gut health and sign up for news about probiotics here. Some doctors feel you only need to take probiotics if you are having trouble with your gut, whereas manufacturers tend to promote this as useful for anyone at any time. My doctor said you probably wouldn’t notice any dramatic change if you were not having trouble. But one health-nut, former-nurse friend of mine said, if you’ve taken a lot of antibiotics over the years – as I have – your gut will probably be happy to have an infusion of appropriate probiotics. Digestion. 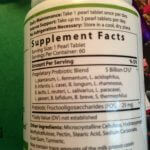 Absorb nutrients and vitamins more efficiently and minimize gas, bloating, diarrhea etc. Energy levels. When your gut microbes are balanced, it frees up your body’s energy. Reduced leels of low-grade inflammation. This can help fight infection, heart disease and some cancers. Strengthened immune system. Your gut houses 70% of your immune system. Support for optimal body weight, metabolism and blood sugar. Support for healtheir, clearer skin. 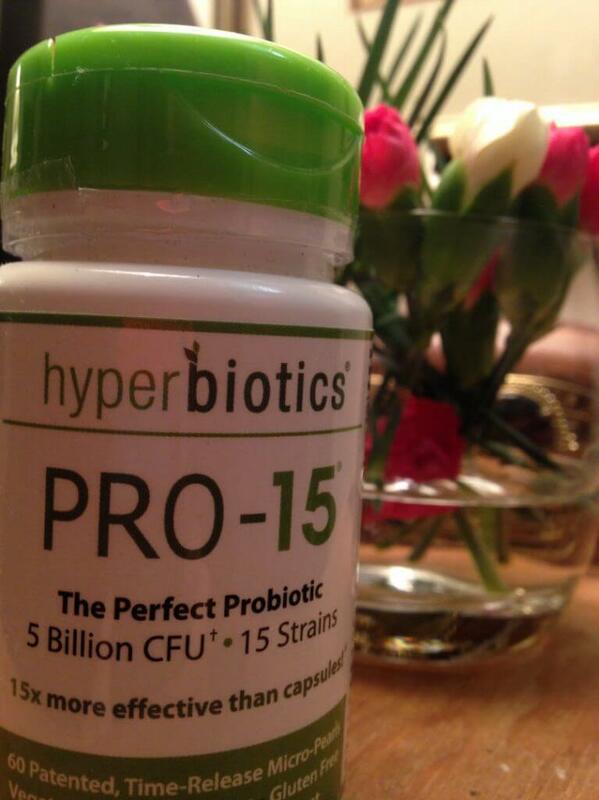 Visit the company’s well-laid out website at www.hyperbiotics.com for thorough explanations and more information. Meanwhile, try to eat more yogurt and quit using so much bacteria-busting cleaning fluids and anti-microbial gel. Healthy immune systems have to keep in practice. If you’ve ever worked with others, you’ve probably experienced conflict – more or less, depending on how much natural talent you have for figuring other people out and knowing how to communicate with them in ways that don’t lead to problems. In my experience, that’s a skill some people have and some simply don’t. Certainly, anyone who survives in a big corporation has this skill to some degree. Many of us would never make it in that type of environment. Authors of the two books below write with confidence about ways they believe can help people improve and/or acquire that skill. Also, when asked, they both said they thought their techniques would work for relationships outside work as well – like your adult offspring, in-laws and grandchildren. They each offer some tips on navigating this most tricky part of life. Book #1. 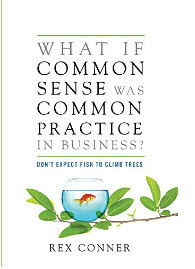 What If Common Sense Was Common Practice in Business? Subtitle: Don’t expect Fish to Climb Trees, by Rex Conner. Remind you of any of your experiences in the business world? Conflict with bosses has as much to do with losing good employees as does not knowing how to hire people with the right skills for a job. This book is about helping people recognize their own talents and skills and about helping bosses set realistic expectations and recognize how to make the most of their good employees. Nobody wants to quit a job if they can contribute, and nobody wants to fire someone who is capable of contributing. This book shines a light on the realities of common sense violations and gives simple “how-to” solutions for applying changes in any size company. If you are not still in the business world, much of this wisdom can be applied to the challenges of parenting and grand parenting. It’s all about clear communication, developing a common language, understanding and minimizing subjectivity in work processes, reducing conflict between boss and bossed so you can keep the people you want – or keep your relationship with your loved ones healthy. If you’re still struggling in the business world, or if you want some guidelines for better communication with your offspring or grandchildren, this book could be useful. Visit www.magerconsortium.com for more information. How to use emotional literacy in the corporate world. Why kindness pays off surprisingly well in the debt collection business. 3 ways to communicate better at work today. How to get what you want without being ruthless. Now, as grandparents, we certainly never intend to be ruthless with our offspring or our grandchildren, but sometimes we can come across that way if we havn’t thought enough about how to present our insights or ideas. 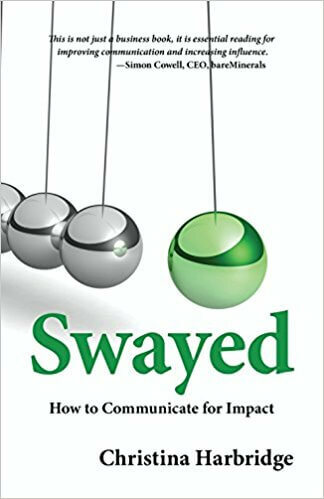 If you’ve experienced the feeling of “Hey, I’ve got some wisdom to share” only to realize at last that no one wants to hear it, this book might give you a few tips on how to communicate better. Most of the examples the author uses relate to business situations, and though most of us Boomers have joyfully left that milieu behind, she insists there are ways to apply her principles in any setting. Interestingly, she only reluctantly admits there are some people you just have to give up on. And while that’s not what we want to do with our grown kids, the book might help you learn when to just let things go.